Lanz Espacio, spokesperson of Kalipunan declared, “the basic sectors are not asking for a constitutional change, but for a change in their conditions which was not uplifted in the last 32 years.” Espacio said that the people’s agenda then and now is genuine empowerment of the real majority – the basic sectors. 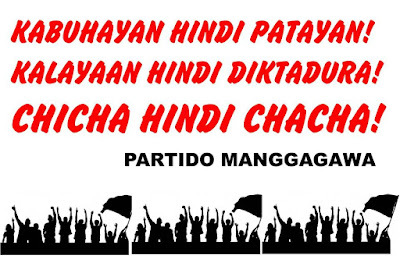 However, the result of the first EDSA was elitist democracy, while the current administration is pushing for a new dictatorship using ChaCha or its version of “revolutionary government” as vehicle. “We will not allow a dictatorship to happen. What happened in 1986 and before then was people’s struggle against a dictatorship,” said Jean Enriquez, co-convenor of KALIPUNAN and coordinator of World March of Women (WMW). “We will not allow the shortcomings of the last 32 years nor loopholes in the Constitution to be used a defective change being pushed by the Duterte administration,” she added. Wilson Fortaleza of Partido Manggagawa (PM) added that they also want change, but a change that is real. “Mas masidhi, kung tutuusin, ang pagnanais ng mga sektor para dito. Pero pagbabago sa paraang kasali ang batayang sektor na silang dapat sentrong benepisyaryo ng gagawing pagbabago. 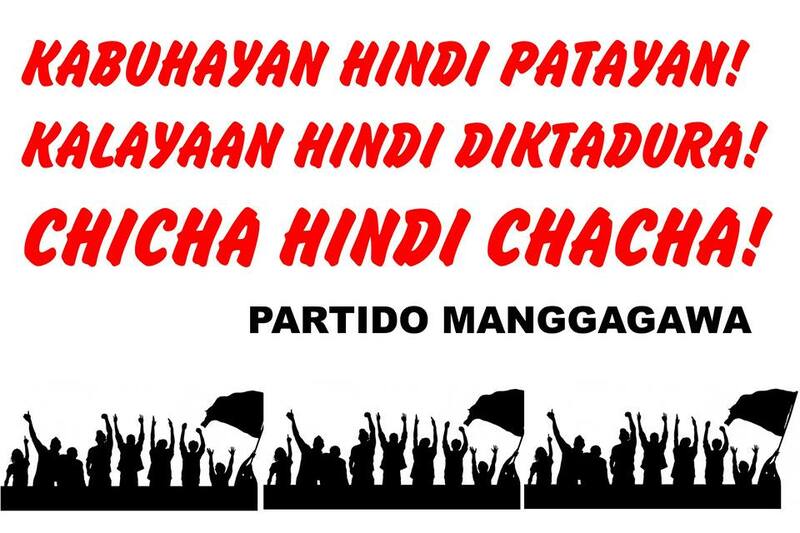 Gusto namin ng isang Demokrasyang para sa lahat, hindi para sa iilan,” according to Fortaleza. Josua Mata of SENTRO added that these demands are not the intent behind ChaCha. “Real change remains in our hands,” Mata added. Alyansa Tigil Mina, Union of Students for the Advancement of Democracy, Urban Poor Alliance and PAKISAMA are also part of KALIPUNAN. They are joined by In Defense of Human Rights and Dignity Movement in EDSA Shrine going to the People Power Monument for a program against charter change and dictatorship, and for human rights and democracy.